OSWEGO, NY (January 17, 2018) – With the new season just a few months away, officials with the Lighthouse Lanes SBS Series have been busy coordinating potential 2018 event dates with tracks across the region ahead of the series’ second year of competition. Already penciled in, the Small Block Supermodifieds will return to the Evans Mills Speedway in the North Country for the 2nd Annual Lighthouse Lanes SBS Series ‘Fall Brawl 50’ set to take place on Sunday, September 16. The decision by Evans Mills to race on Saturday nights this season will not affect this event. Opening Night at Evans Mills Speedway is set for Saturday, May 5 with another regular show taking place a week later on Saturday, May 12. The third event of the season will follow on Saturday, May 19 which also the date of Oswego Speedway’s season opening practice session. The return of the 30-lap special for the Lighthouse Lanes SBS Series to the Spencer Speedway on graduation weekend is also in the works. The Small Block Supers have appeared at the Williamson, N.Y. speed plant several times in the past with the NORA Tour, but this season would mark the first appearance for the division at Spencer in several years. Two more races have been discussed for this fall following the Fall Brawl 50 at Evans Mills. Both of these shows would see brand new tracks on the Lighthouse Lanes SBS Series schedule. More information on any additional scheduling or dates will be available in the near future. A fundraiser for the Lighthouse Lanes SBS Series 2018 campaign will also take place prior to the tentative early May event at the Evans Mills Speedway. Details are still being worked out at this time, but the event will return to series namesake Lighthouse Lanes. 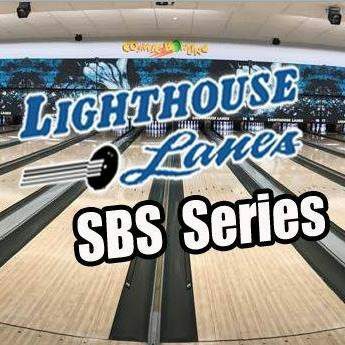 For more information on the Lighthouse Lanes SBS Series, you can visit the all new official website online at LighthouseLanesSBSSeries.com. You can also FOLLOW on Twitter @LHLSBSupers or LIKE on Facebook at Facebook.com/LighthouseLanesSBSSeries.